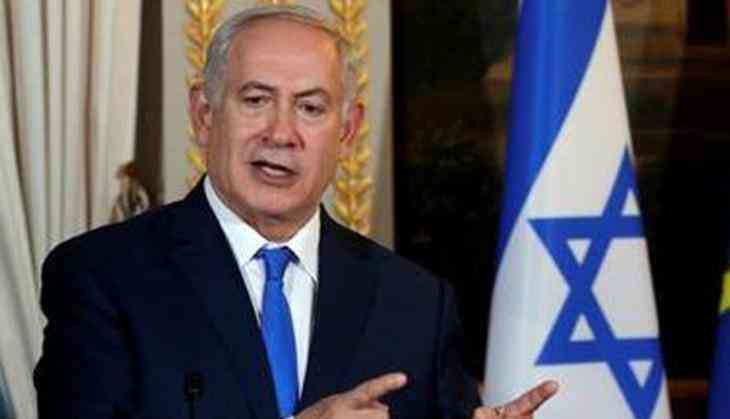 Israeli Prime Minister Benjamin Netanyahu slammed Turkish President Recep Tayyip Erdogan's recent anti-Israel tirade and said that the leader who bombs Kurdish villagers and supports terrorists cannot dictate him. "I'm not used to receiving lectures about morality from a leader who bombs Kurdish villagers in his native Turkey; who jails journalists; who helps Iran go around international sanctions; and who helps terrorists, including in Gaza, kill innocent people," Netanyahu said at a press conference in Paris alongside French President Emmanuel Macron. Earlier, President Erdogan had called the US recognition of Jerusalem as Israel's capital "null and void". "Palestine has been under occupation since 1947," he said. "Israel is an occupying state, a terrorist state," Anadolu news agency quoted Erdogan as saying. The United States has become the first country in the world to recognise Jerusalem as the capital of Israel following its President Donald Trump's decision. In line with this announcement, the US is also shifting its embassy from Tel Aviv to the holy city, again becoming the first country to take such a step. With this step, President Trump has fulfilled one of its campaign promises and reversed decades-long US policy on this matter. Various Palestinian factions, including militant organisation Hamas, called for a day of rage on Friday against the US and Israeli occupation. An estimated 3,000 people marched, burned Israeli flags and stamped on the posters of the US President in around 30 protests across the Palestinian territories. The UN Security Council members also widely condemned Trump's move during an emergency meeting held on Friday. Jerusalem is considered a sacred place, which is home to Jewish, Christian and Muslim holy sites. However, it is also a disputed territory, contested by both Israel and Palestine, which sees it as a capital of its future state.